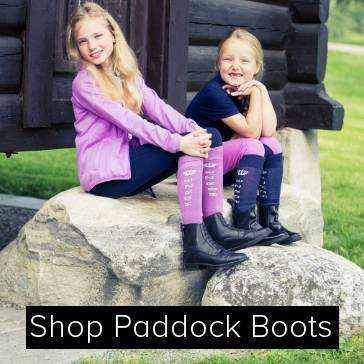 Horse riding boots like paddock boots, field boots, tall or Country boots for ladies, men or kids. 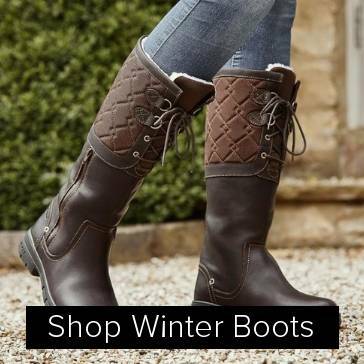 Top riding boot brands like Ariat, Dublin or Ovation at great prices from Equestrian Collections - Ride in Style! Horse riding boots will always make welcome gifts for horse back riders. Winter riding is alway a challenge, winter boots as well as thermal socks will be sure to please as well as be appreciated all winter long. For riders, there is no having too many riding boots, so you know your gift will be used and enjoyed all year long.